MUMM-RA allies with the Egyptian princess TA-SHE to gain the Doomgaze, an entrancing power, which could enslave the THUNDERCATS. To free her from the Timewarp Prison, they need three elements: a tuft of CHEETARA’s hair, a Unicorn’s golden shoe, and a BERBIL’s tear. The MUTANTS, aided by a MAN-O-WAR CLOUD, gather the elements and kidnap RO-BER-BELLE. The Thundercats pursue through the Desert of Phosphorous Sands [sic], the Crumbling Cliffs of Vertigo, and the Field of Daggers. As TA-SHE’s freeing ritual begins on Mount Anguish, the THUNDERCATS attack. 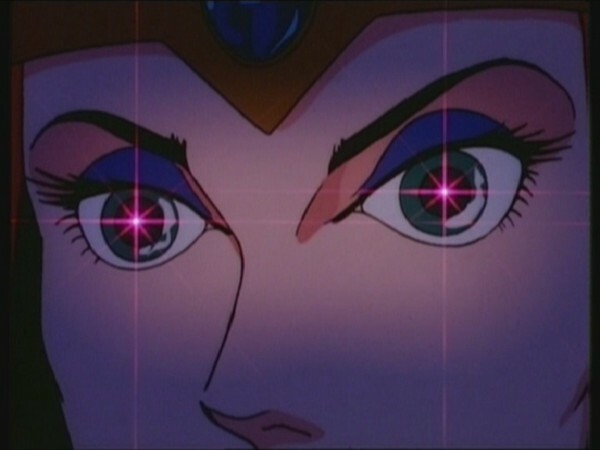 TA-SHE needs LION-O as the hero who will take her place in the Timewarp and uses the Doomgaze to enrapture him. 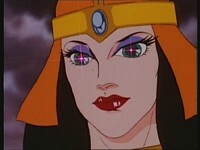 CHEETARA (a woman herself) is not mesmerized by the princess’ beauty and brings LION-O out of the trance. 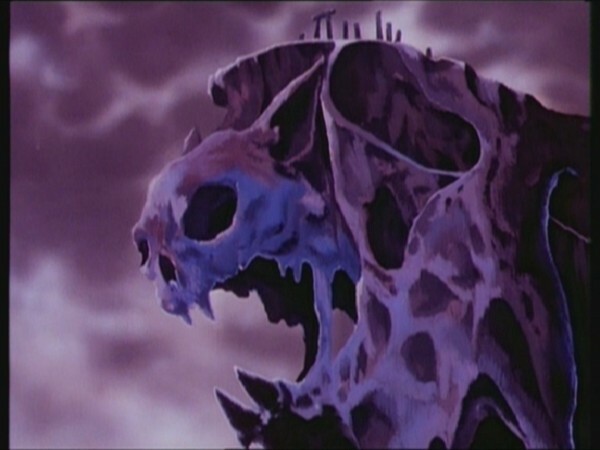 Defeated, TA-SHE fades back into her prison and MUMM-RA angrily disappears into the darkening skies. Lion-O becomes infatuated by Ta-She’s beauty and falls under her hypnotic spell. 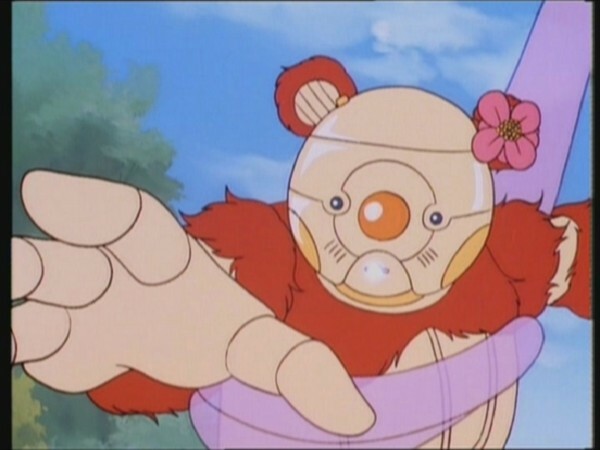 Even in the face of imminent danger to himself, Ro-Ber-Belle, and the other ThunderCats, he is unable to see through her appearance and grasp the essential evil beneath her charm. Only when rescued by Cheetara does he regain his judgment, discern the superficiality of her looks, and reflect on the dissimilarities between them. Attraction between friends in early stages of childhood may be based on superficial characteristics like geographical location or favorite activities. As children grow older, other factors become significant like interests, cooperative behavior, and sharing possessions. Approaching adolescence, central characteristics like intimacy and loyalty become important and personal similarities in behaviors and attitudes are hallmarks of lasting friendships (Kandel, 1978). ANDEL, D. B. (1978). “Homophily, Selection and Socialization in Adolescent Friendships.” American Journal of Sociology, 84, 427-436. 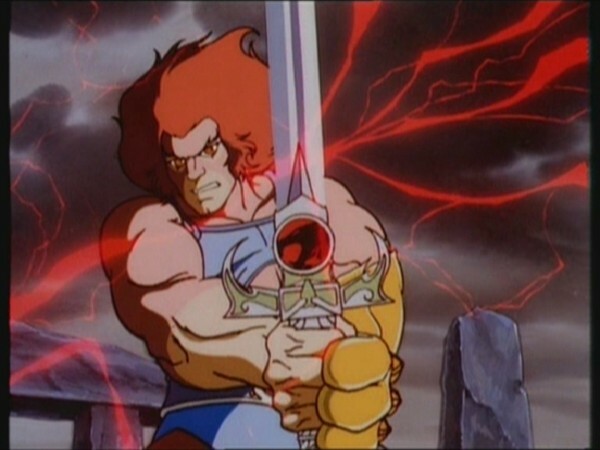 One of the strengths of the ThunderCats animated series is the sheer variety of different types of plots and storylines the writers were able to come up with, and also the ability of those writers to tackle in a sensitive and “kid-friendly” manner some of the scenarios that may arise in the course of the ThunderCats’ battle against evil. In this episode, writer Stephen Perry makes his ThunderCats script-writing debut and displays his skill for conjuring up memorable episodes by showing Lion-O falling under the alluring spell of the evil sorceress Ta-She, in an episode tinged with, shall we say, tension of multiple varieties! One of the most noteworthy aspects of this episode is how, once again, Cheetara plays a significant role in helping the ThunderCats to save the day. 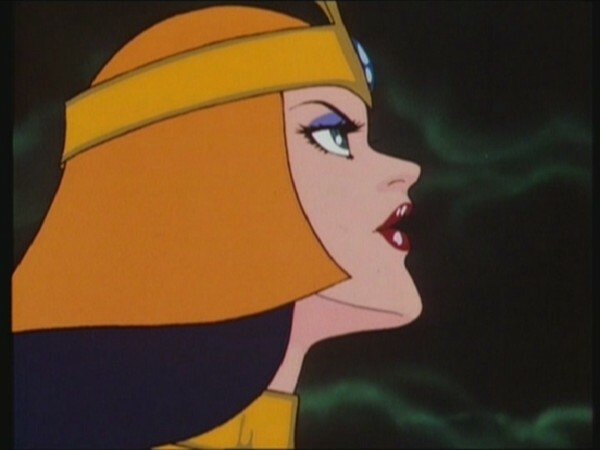 However, whereas in previous episodes this may either have been utilized for a specific scene (such as Tygra’s rescue in “Trouble With Time” or the use of her sixth sense in “The Ghost Warrior”), in this episode Cheetara gets down and dirty, single-handedly defeating all of the Mutants and challenging Mumm-Ra. Such is the strength of Cheetara’s character that this can almost go by unnoticed. However, in another brilliant plot device, Cheetara’s gender is highlighted when Ta-She’s Doomgaze fails to ensnare her, seemingly for no reason other than the fact that Cheetara is a woman and thus immune to the sensual allure of Ta-She’s beauty. 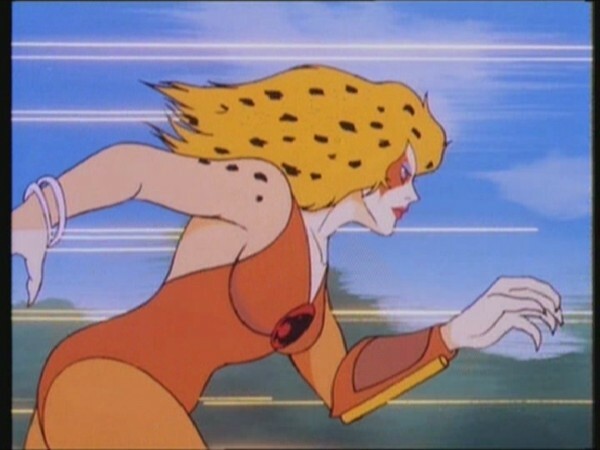 All throughout the series, Cheetara would be displayed as a pretty much perfect role model for the show’s female viewers, displaying both confident skill and power yet still with a ready acknowledgement of her feminine side, and for my money there is no better episode for showcasing that than this one. Of course this episode is very much a “girl power” showcase in general, with the introduction of the dominant evil sorceress Ta-She for what was to be her only appearance in the series. 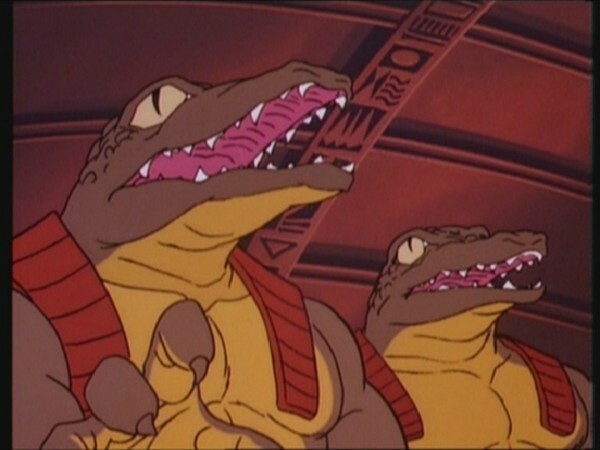 In my introduction I mentioned how sensitively the writers on ThunderCats handled certain issues, and if you dissect the plot of this episode you realize that this is another one of those occasions. For, whilst Ta-She’s Doomgaze power clearly has a lot of magical force behind it, it would appear that for it to work, her victim would have to possess some sort of physical attraction towards her. 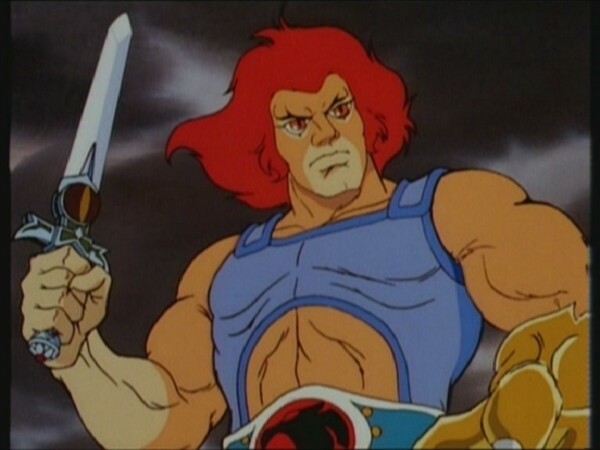 This theory is showcased in two ways: firstly by how easily Lion-O (who, despite being Lord of the ThunderCats, is mentally still a young boy maturing into a man) succumbs to Ta-She’s beauty, and secondly by the fact that Cheetara, as a woman, is immune to the Doomgaze’s effects. Additionally, the fact that Snarf (an older male character) doesn’t succumb to Ta-She’s Doomgaze until she turns the full extent of its power on him gives further credence to this theory. All of this makes for a highly unique, believable, and yet sensitively handled, storyline. Another detail that adds a further female-centric flavor to this episode is the heavy feature for Ro-Ber Belle. It’s quite a nice touch that the gentle female Berbil should be used to fill the semi-obligatory “damsel in distress” role in place of one of the stronger female characters such as Willa, or even Cheetara herself, for, although obviously utilized in this story because she is a female (and thus the Berbil most likely to be moved to shed a tear), it is nonetheless an unfortunate circumstance for the Berbils that their small stature will make them susceptible to becoming victims of the ThunderCats’ enemies. 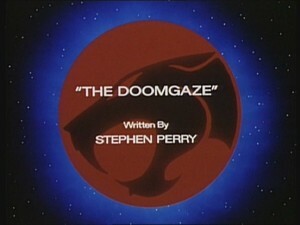 Although this is not Stephen Perry’s most memorable ThunderCats script when weighed up against some of his other episodes (the “Feliner” two-parter, “Safari Joe”), this is nonetheless a highly enjoyable, excellently crafted, visually exciting, superbly executed episode with a very unique and entertaining storyline. This script showcases the largest role to be played by the female Berbil, Ro-Ber Belle. Her last speaking role was in the episode “Berbils”. The official Rankin/Bass synopsis of this episode identifies the climactic location as “Mount Anguish”. This location would be used again briefly in “Return to Thundera”. 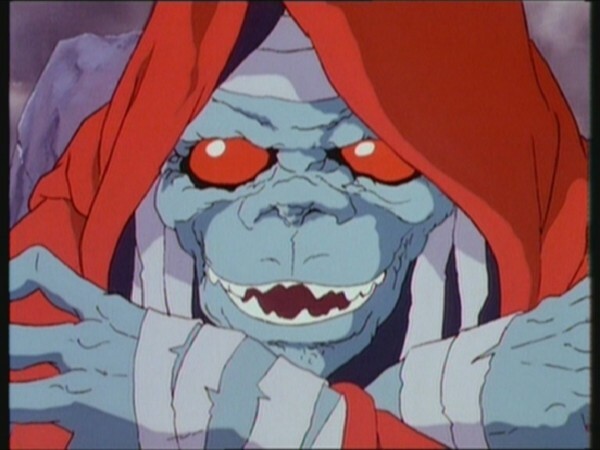 This episode features a rare instance of Mumm-Ra transforming into his Ever-Living form outside of his pyramid. 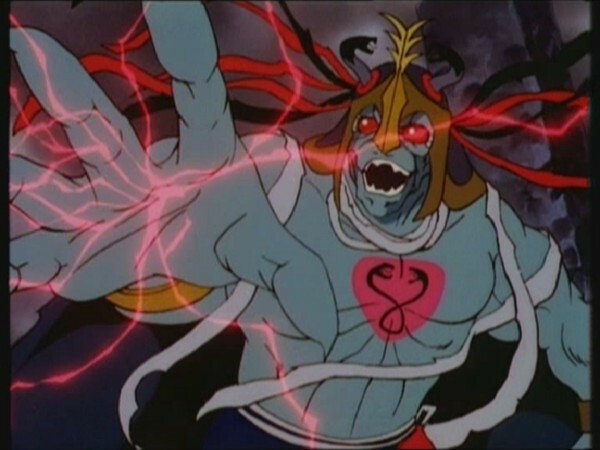 Although the stock footage of Mumm-Ra transforming is still used, for this episode it is shot against a new background. 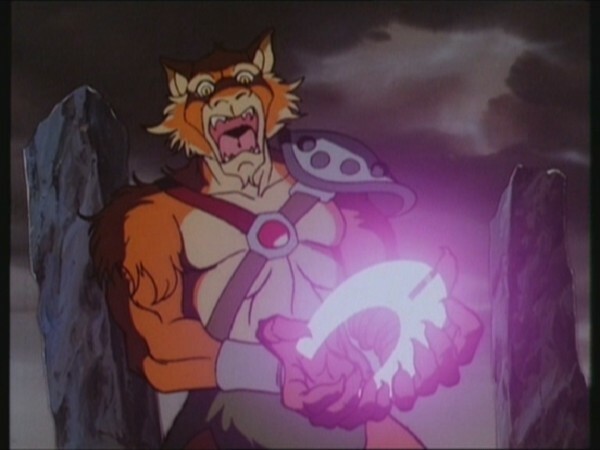 Additionally we see a rare variation on the often-used stock footage of Lion-O summoning the other ThunderCats. In this episode the first couple of seconds of this sequence are displayed against an actual location background, rather than the standard red- or blue-colored background used for most of the series. 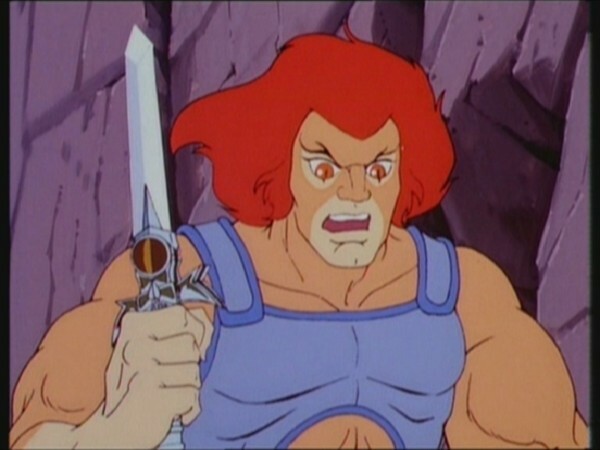 This is the first episode of ThunderCats to be penned by Stephen Perry. Although best known for his work on ThunderCats and also SilverHawks, Stephen has also worked on a variety of other projects, including a stint at Marvel Comics and work as a writer on Deluxe Comics’ Thunder Agents series, where he worked alongside comics legend and Spider-Man co-creator Steve Ditko.